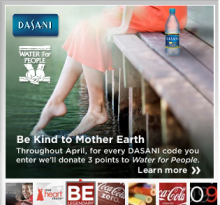 Heck Homepage - wherethebadkidsgo.com is a fun, interactive and informative site to promote Heck: Where The Bad Kids Go, a new book by Random House author Dale E. Basye. 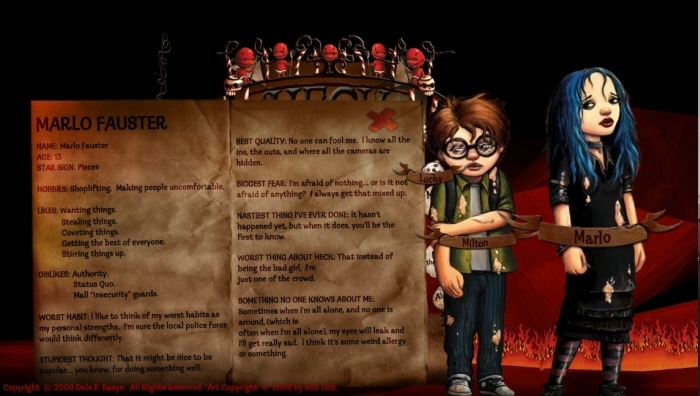 About Heck - wherethebadkidsgo.com is a fun, interactive and informative site to promote Heck: Where The Bad Kids Go, a new book by Random House author Dale E. Basye. 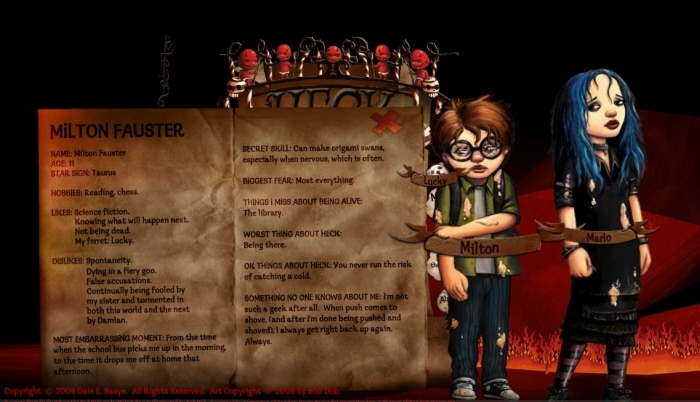 Meet Milton - wherethebadkidsgo.com is a fun, interactive and informative site to promote Heck: Where The Bad Kids Go, a new book by Random House author Dale E. Basye. 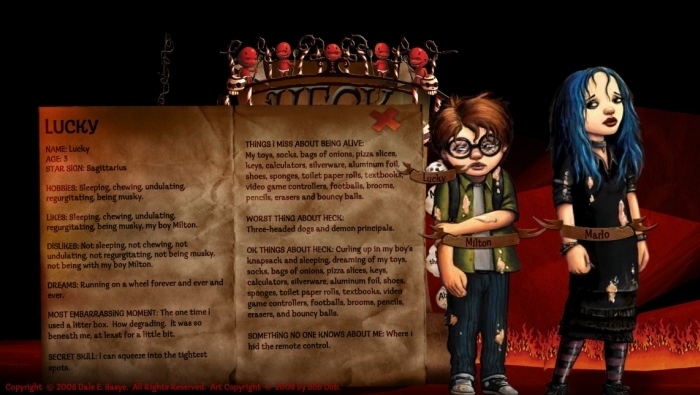 Meet Marlo - wherethebadkidsgo.com is a fun, interactive and informative site to promote Heck: Where The Bad Kids Go, a new book by Random House author Dale E. Basye. Meet Lucky - wherethebadkidsgo.com is a fun, interactive and informative site to promote Heck: Where The Bad Kids Go, a new book by Random House author Dale E. Basye. 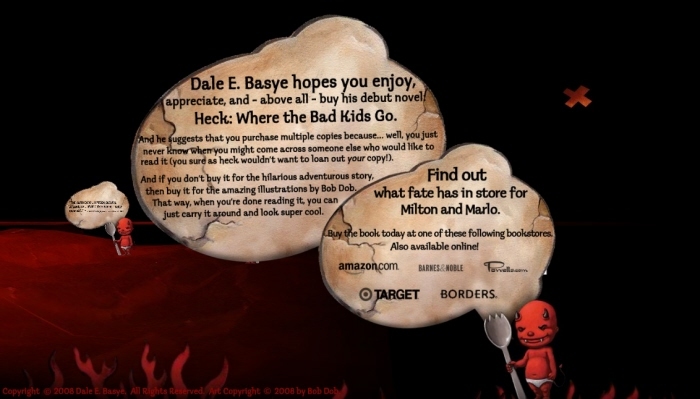 Meet the Author - wherethebadkidsgo.com is a fun, interactive and informative site to promote Heck: Where The Bad Kids Go, a new book by Random House author Dale E. Basye. 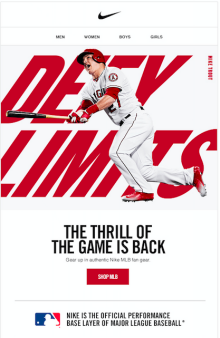 Fun as Heck - wherethebadkidsgo.com is a fun, interactive and informative site to promote Heck: Where The Bad Kids Go, a new book by Random House author Dale E. Basye. 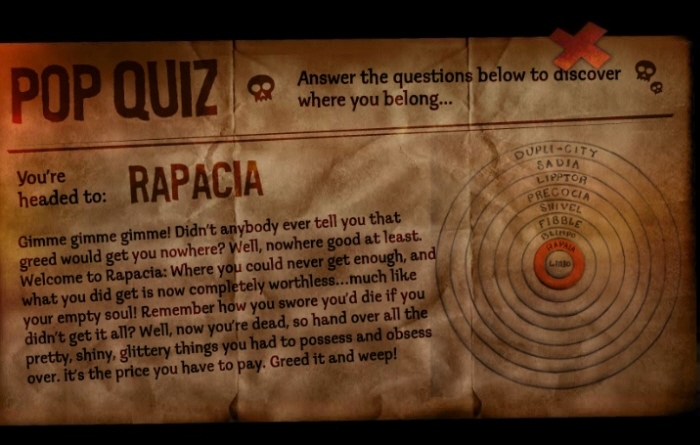 Heck Quiz Question 1 of 11 - wherethebadkidsgo.com is a fun, interactive and informative site to promote Heck: Where The Bad Kids Go, a new book by Random House author Dale E. Basye. 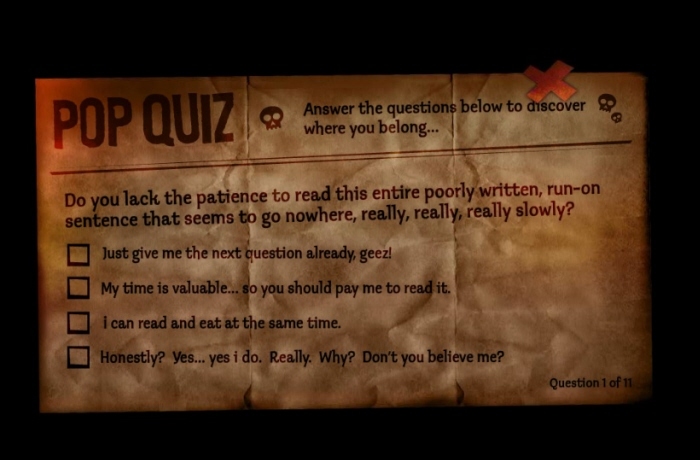 Heck Quiz Result page (one of many) - wherethebadkidsgo.com is a fun, interactive and informative site to promote Heck: Where The Bad Kids Go, a new book by Random House author Dale E. Basye. 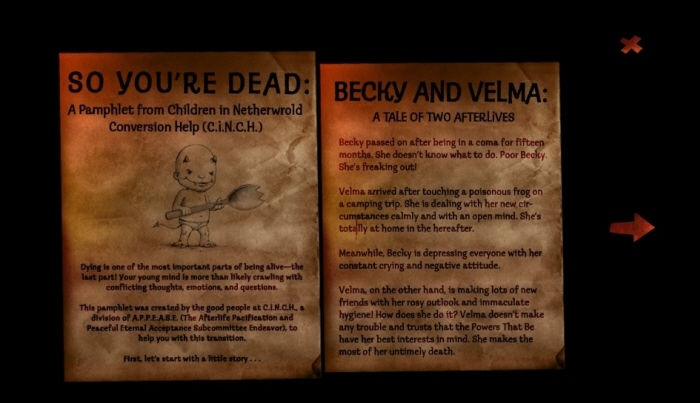 So You're Dead Pamphlet - wherethebadkidsgo.com is a fun, interactive and informative site to promote Heck: Where The Bad Kids Go, a new book by Random House author Dale E. Basye. 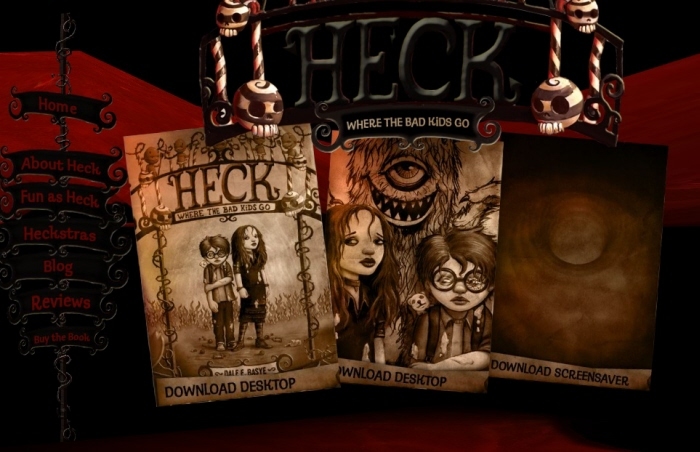 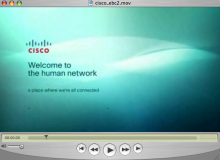 HECK Downloads - wherethebadkidsgo.com is a fun, interactive and informative site to promote Heck: Where The Bad Kids Go, a new book by Random House author Dale E. Basye. 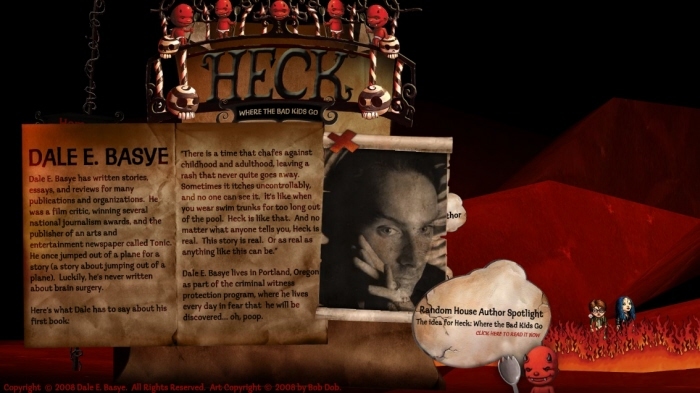 HECK Blog - wherethebadkidsgo.com is a fun, interactive and informative site to promote Heck: Where The Bad Kids Go, a new book by Random House author Dale E. Basye. 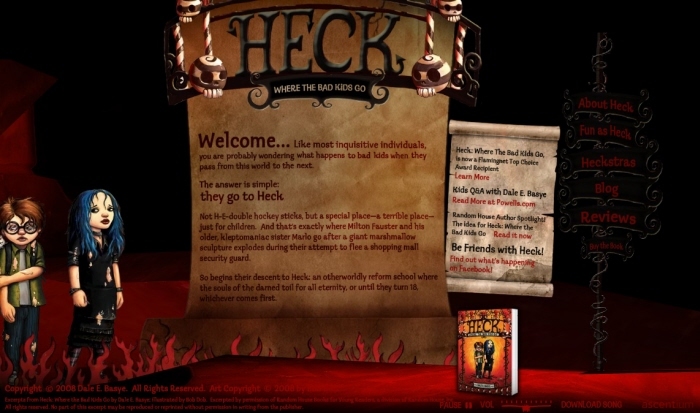 HECK Reviews - wherethebadkidsgo.com is a fun, interactive and informative site to promote Heck: Where The Bad Kids Go, a new book by Random House author Dale E. Basye. 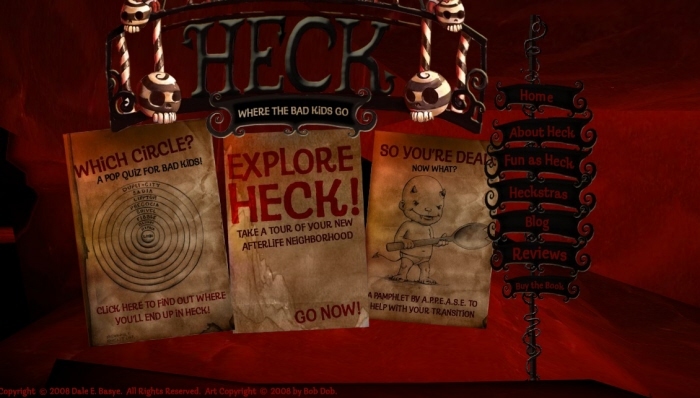 HECK Where The Bad Kids Go - wherethebadkidsgo.com is a fun, interactive and informative site to promote Heck: Where The Bad Kids Go, a new book by Random House author Dale E. Basye.